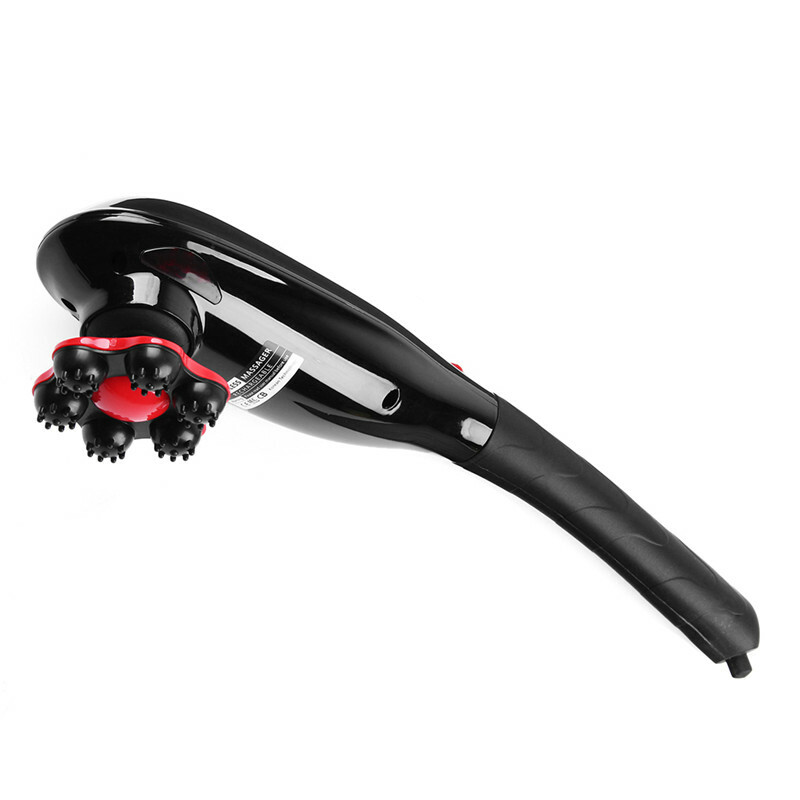 Get ready to experience the most powerful and soothing cordless massager on the market. The variable speed controller allows you dial into the perfect intensity, with 7 different massage heads allows you to select the firmness and style of your massage! 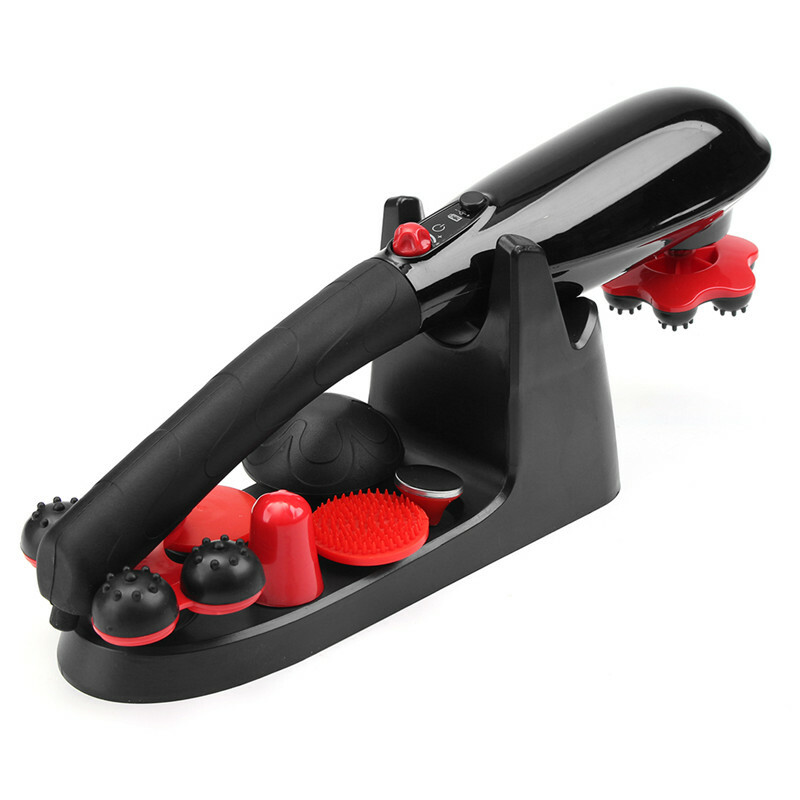 POWERFUL, CORDLESS & RECHARGEABLE: Powerful cordless percussion massager. High-speed percussion motor up to 3,700 RPM. Facial micro-vibration motor on handle side operating up to 10,000 RPM. Variable speed dial to adjust the intensity of percussion or vibration. BENEFITS: Repetitive acute percussion therapy relieves muscle tension, knots, spasms, aches and pains. Release trigger points, increase blood flow, gain a greater range of motion. Great for use on areas such as neck, back, legs and feet. Seven uniquely designed percussion attachments. Plus bonus facial attachment. LIGHTWEIGHT EASY REACH DESIGN: Easy to hold with extra long handle for hard to reach areas. Slim innovative design. Easy to use for self massage or with a partner. Approximate weight & dimensions 1.75 lb., 16.5” L x 2.75” W x 3.5” H.
STRENGTH WARNING: Apex Cordless Percussion Massager is powerful. If you are used to a gentle massage or are sensitive to aggressive massage therapy you may be surprised. You may also be pleasantly amazed with the results after a few days of percussion therapy. When using the Apex Cordless Percussion Massager for the first time, we recommend you start with the soft air-cushion attachment at lower speeds until you are comfortable with the strength of this massager. Read owner’s manual prior to use. If you experience any bouncing try increasing the speed to reduce bouncing impact. You may also try holding the massager at a different position on the handle. THE POWER OF PERCUSSION: Most muscle pain occurs deep in the tissue, where vibrating massagers can’t reach. But the Apex Cordless Percussion Massager use short, powerful strokes to penetrate deep. Gently stretching muscles and tendons and breaking down adhesion’s and knots. Restoring circulation and flexibility. 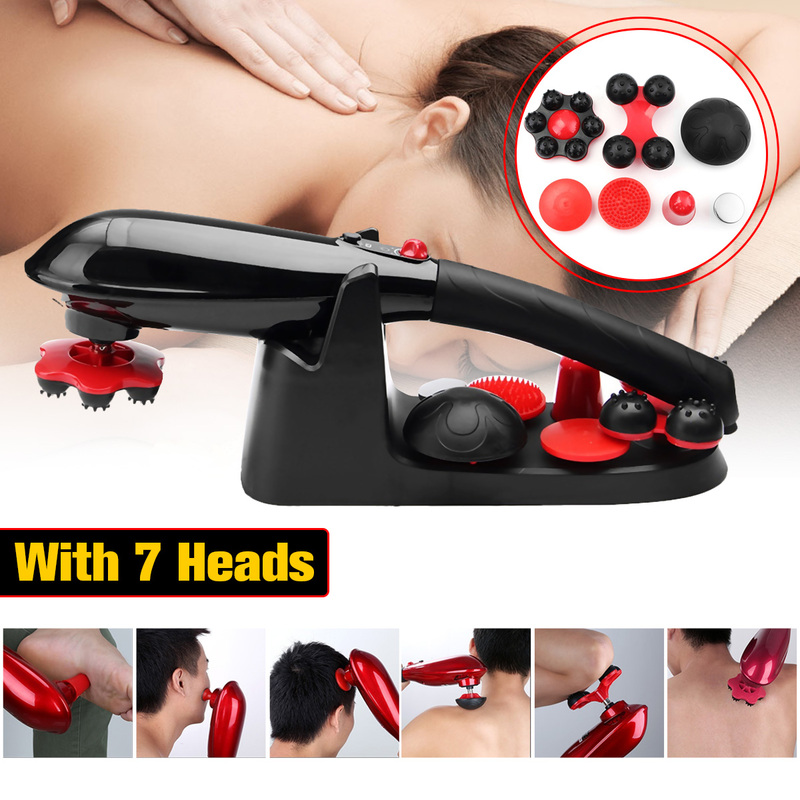 Professionals use Percussion massagers for therapeutic massage. Now you can, too! Please note that the Apex Cordless Percussion Massager is a therapeutic massager intended for personal use; it is not a medical device. If you have a serious or chronic medical condition, or if you are pregnant, please consult your doctor before using the product. For your safety and to avoid personal injury or property damage, please read the owner’s manual carefully and only use the Apex Cordless Percussion Massager as described in the owner’s manual. Use of the product in any manner not specified may cause injury, and will void the Limited Warranty. There are two operating modes. 1. Turn dial all the way clockwise for percussion hammering to start. 6 Tips for percussion side (4 thread on, 2 slip over threads).